The over-the-top dam seems to be breaking for over-the-air broadcasters. Comcast announced last week that it will introduce a new streaming service called Stream later this summer, starting in Boston, that will offer access to local broadcast channels plus HBO and a mix of on-demand content for $15 a month. Seattle and Chicago will follow the Boston launch, with rollout to Comcast’s full footprint planned for 2016. This week brought a new indications that over-the-air channels will also be core components of Apple’s planned OTT service when it launches later this year. According to a report in the NY Post, Apple’s talks with ABC, CBS, NBC and Fox are “rapidly gaining momentum” and now include access to the networks’ local affiliates’ feeds. That dovetails with an earlier report on Re/Code that the launch of Apple’s OTT service was being delayed to allow time to clear rights to local TV content. 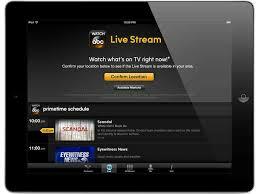 According to the reports, Apple asked the networks to go back and get the streaming rights to their affiliates’ feeds. After initially balking, the networks agreed, and several major affiliate groups are now reportedly on board. Previously, the networks had largely kept their content off third-party OTT platforms, preferring to launch their own proprietary apps like CBS All Access and Watch ABC. The Comcast announcement has generally been characterized as a response to Dish’s Sling TV OTT service (which does not include broadcast channels), but it’s much more likely to be a response to Apple. Because NBC has been negotiating with Apple about the service, Comcast has a keyhole view into Apple’s plans. And, while the new service will no doubt be supported on the Apple TV set-top box, Apple is a mobile-centric company now, and whatever it does in TV will likely be similarly mobile-centric. Not coincidentally, Stream is a mobile-only service. As Comcast surely understands, mobile is potentially much more disruptive to its business as a fixed-line MVPD/ISP than are OTT aggregators like Netflix and Hulu, or even Sling TV, because mobile breaks Comcast’s monopoly on its end users and hands the gatekeeper’s keys mobile-ecosystem owners like Apple and Google. Stream is designed as a hedge against Apple’s planned mobile- and broadcast-centric service by giving Comcast broadband subscribers a way to watch broadcast channels on their mobile devices. According to Ooyala’s Q1 2015 Global Video Index report, mobile devices now account for 42 percent of all online video viewing, double what it was a year earlier. “Mobile video is on pace to exceed 50% of all online video plays by the third quarter of this year, perhaps sooner,” the report concludes. A study, by Miner & Co., found that the living room TV is no longer the screen of choice among the youngest viewers. More than half of parents surveyed (57 percent) said their kids prefer to watch video on mobile phones and tablets than on the TV. Nearly half of those surveyed, in fact, report confiscating mobile devices when their kids act up and forcing them to watch video on TV instead, thereby conditioning tomorrow’s in-demo viewers to associate watching TV on a non-mobile device as a form of punishment. A survey of consumers in 24 countries conducted earlier this year by the Interactive Advertising Bureau found huge year-over-year increases in mobile video viewing in all countries surveyed, including a 50 percent increase in the U.S., 42 percent in Canada, New Zealand and South Africa and a 40 percent uptick in the U.K. The increases were as significant for long-form programming, including movies and TV shows, as for short-form content. The list of studies and surveys documenting TV’s ineluctable shift from fixed to mobile platforms is a long one. Though efforts have been made over the years to add broadcast reception capability directly to mobile devices, for now the only commercially viable way to get broadcast content to mobile devices is to stream it. That’s as true for local broadcasters as for the national networks. The accelerating shift to mobile viewing is helping to align the interests of the broadcast networks and their local affiliates in a way that over-the-top delivery to set-top boxes and smart TVs had not. Local broadcasters could already get to the TV; over-the-top streaming of the same content by the networks created a conflict. With mobile, the only way to get there is to go over the top, so they might as well go together.